The best cities become an ingrained part of their residents’ identities. Urban design is the key to this process, but all too often, citizens abandon it to professionals, unable to see a way to express what they love and value in their own neighborhoods. 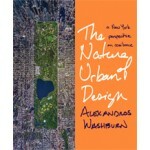 In the visually rich book The Nature of Urban Design. 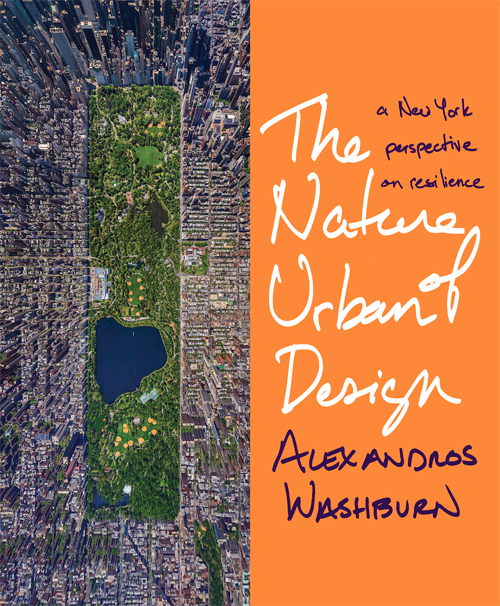 A New York Perspective on Resilience, Alexandros Washburn, Chief Urban Designer of the New York Department of City Planning, redefines urban design. His book empowers urbanites and lays the foundations for a new approach to design that will help cities to prosper in an uncertain future. He asks his readers to consider how cities shape communities, for it is the strength of our communities, he argues, that will determine how we respond to crises like Hurricane Sandy, whose floodwaters he watched from his home in Red Hook, Brooklyn. Washburn draws heavily on his experience within the New York City planning system while highlighting forward-thinking developments in cities around the world. He grounds his book in the realities of political and financial challenges that hasten or hinder even the most beautiful designs. By discussing projects like the High Line and the Harlem Children’s Zone as well as examples from Seoul to Singapore, he explores the nuances of the urban design process while emphasizing the importance of individuals with the drive to make a difference in their city. Throughout the book The Nature of Urban Design. A New York Perspective on Resilience, Washburn shows how a well-designed city can be the most efficient, equitable, safe, and enriching place on earth. The Nature of Urban Design provides a framework for participating in the process of change and will inspire and inform anyone who cares about cities.